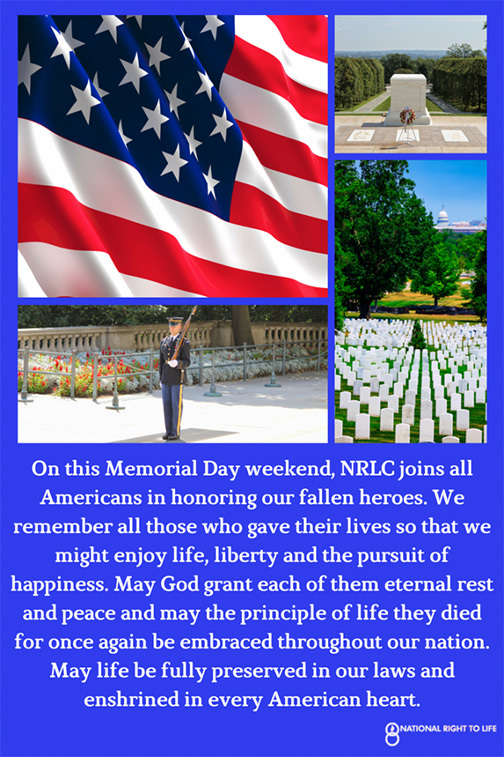 On this Memorial Day, NRLC joins all Americans in honoring our fallen heroes. We remember all those who gave their lives so that we might enjoy life, liberty and the pursuit of happiness. May God grant each of them eternal rest and peace and may the principle of life they died for once again be embraced throughout our nation. May life be fully preserved in our laws and enshrined in every American heart. Please help by donating now.